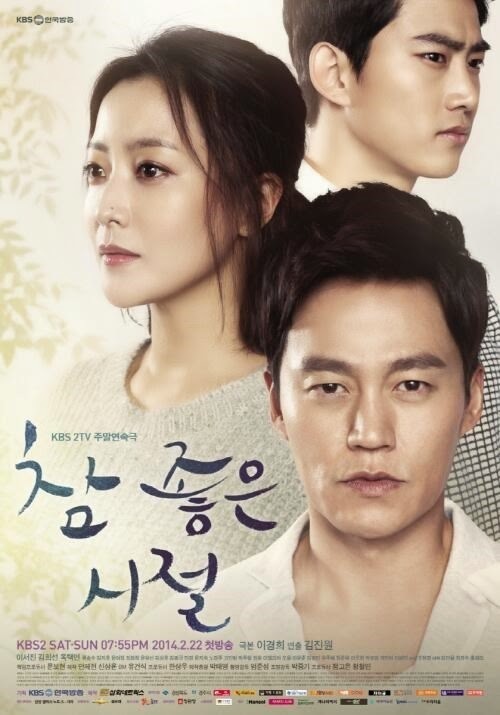 Out of curiosity regarding the positive reviews and a residual love for Kim Hee Sun following Faith, I checked into the first couple episodes of Wonderful Days. To put it upfront, I have no intention to continue watching even though I can see why it's popular. It's a heartfelt, borderline makjang family drama with a huge cast and appealing lead characters. But it didn't quite touch me, and I'm not committed enough to sit through tens of episodes to see where this all goes. The story surrounds the return of Prosecutor Kang Dong Seok to his hometown, and all the familial and relationship angst that goes with that. Apparently Dong Seok left with the intent to never return, and it's been a full 15 years since he's seen any member of his family. We're not told why, but given the flashbacks and all the drama in his family (with the multitude of siblings and wrangled relationships), I suspect he did something to offend his direct family, probably related to his twin sister Dong Ok. Probably also financially related. The convoluted family dynamics felt a bit stretched to me, even if they are intriguing in their bleakness. His siblings are a mess, with childlike Dong Ok, violent Dong Hee, and his pathetic single-dad older brother whose name I can't remember except it likely started with Dong. Mom doesn't appear at all pleased to see him after so many years, and in fact seems keen to avoid him as much as possible. Again, I'm sure this is related to why he left. Topping off the direct family are the two side uncles, who seem placed for comic relief, the "younger mother" former mistress to his dad (who now lives with his mom - no idea why), and three kids - one belonging to his older brother, and the other two secretly to Dong Hee (but are disguised as his father's kids). The recipe for filling up multiple episodes with story appears to be make the central family as large and obscenely complicated as possible. The first couple episodes were mostly filled with the ceremony around his return and the set-up of this family. Those scenes weren't terribly interesting, though fortunately most of the actors are fairly strong and able to bring complexity to their characters. The one I like the least is the younger mom lady, who's been shrill and flat so far. She also gets way more scenes than she deserves in my opinion, all of which feel like a way to waste screen time (e.g. that ridiculously long, pointless debate over sneaking food with the uncle, and then that leaf-counting pre-Dong Hee jail release scene). The over-extended, unnecessary segments are my core issue with this drama, and with weekend dramas as a whole. It's like even the writers realize they don't have enough content to fill out 50+ episodes, so they proceed to add in menial, self-gratuitous debates and slow scenes with all the side characters. Another example of this is that shot of Dong Seok's older brother talking to himself in the karaoke bar. We geddit, he's a sad, pathetic character who'll always be in his brother's shadows. Scenes like that literally make me feel like my brain's about to melt off due to the pointlessness of everything on the screen. Moving on, I do generally like the main female lead Hae Won (Kim Hee Sun), who's gone from living a fairly sheltered, wealthy life to having to rough it as a loan collector after her family went bankrupt. To be honest though, I prefer the flashbacks to the current day scenes when it comes to this main couple. For one, the younger actors playing them were adorable. Hae Won's clear infatuation with Dong Seok was sweet to watch, and we can see that Dong Seok cares for her even if his intentions haven't been made clear. There's also this sense of wistfulness in the past, as well as the inevitable knowledge that they wind up apart. I'm not nearly as invested in the modern-day incarnates of this couple though. Hae Won went from an innocently sweet girl to a stereotypical works-to-support-her-stupid-family drama heroine, and I'm kind of just sick of seeing the latter. Kim Hee Sun has also had barely any scenes relative to the giant Dong-family, and those she has had just involve her staring sadly into space (or shouting at people for debt-collection stuff). I think it's a combination of weak acting and shallow writing, but modern Hae Won comes across as flat and uninteresting despite the interesting backstory. Modern Dong Seok is also not very appealing. I admit to being shallow, but watching Lee Seo Jin onscreen feels more like watching an uncle than watching a drama lead. This is a side note, but I'm sick of older male actors getting such a looser rein on the state of their appearance than female actors. Let's just say there's no way the production would have allowed Hae Won to age as severely as Dong Seok. Seriously, Lee Seo Jin looks older than the guy playing his hyung. I get he's famous from his reality TV stint, but for me there's nothing to latch onto, and I just can't find it in my heart to connect with him as a male lead. 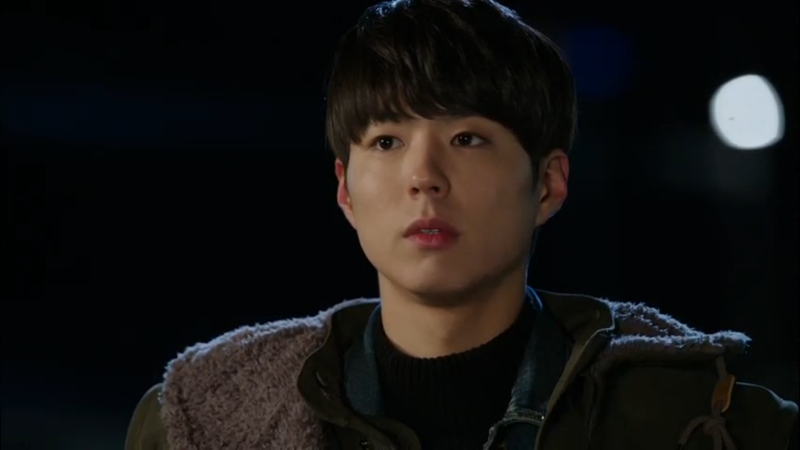 Dong Seok is also a fairly mopey guy (as is everyone in this show), and I haven't seen so much as a smile from him. Again, I liked the past him, who was full of fire and dedication, but the present him seems resigned towards everything. He's played decently, but his character's not of much interest. The other characters aren't anything of note so far. They're doing their job, but feel a bit squashed together given the sheer magnitude of the family. Taecyeon is coming across a bit too forceful in the "act angry and violent" capacity, but he seems marginally better than in Who Are You. At least he's not the lead. I thought I might want to ship him with Kim Hee Sun, but so far they've failed to inspire any desire for that connection - it's like bland on bland, notably in acting. Overall, this was an interesting short watch for me, even if I do have some major qualms with the core story and characterizations. I can see this going very quickly into full makjang territory, but there is an appealing heart to the show that might have allowed it to win me over had it been structured as a brisk prime-time drama rather than a plodding weekender.